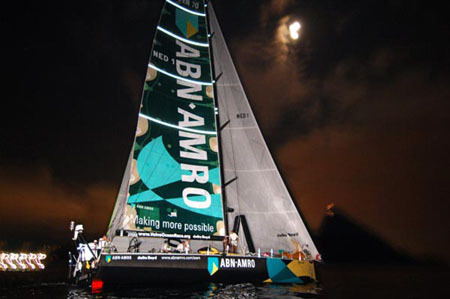 ABN AMRO One continues to outclass the competition in the Volvo Ocean Race, most recently taking first in the leg from Wellington to Rio de Janeiro (finish pictured at right), and then winning the Rio in-port race. 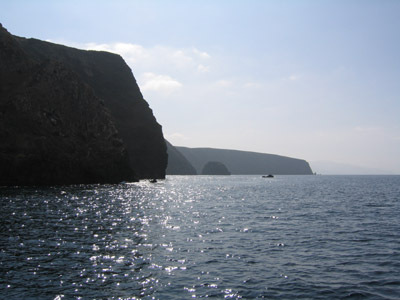 The latter win was especially impressive in that the race took place in light winds, which up until now had been viewed as the boat’s only weakness. More detail is available from the official VOR site: ABN AMRO One dominates in Rio. Get used to that picture. Barring an act of God, that’s what the trophy presentation at the end of the competition is going to look like. Images courtesy of the official ABN AMRO site.